Wow guys, what an epic day!!! I could learn to stand up and ride it in 1 day (2 sessions of 30 minutes each, total 1 hour) Mission accomplished. Enjoy our fun video with an Epic drone footage of the breathtaking Benidorm seascape (south Spain). 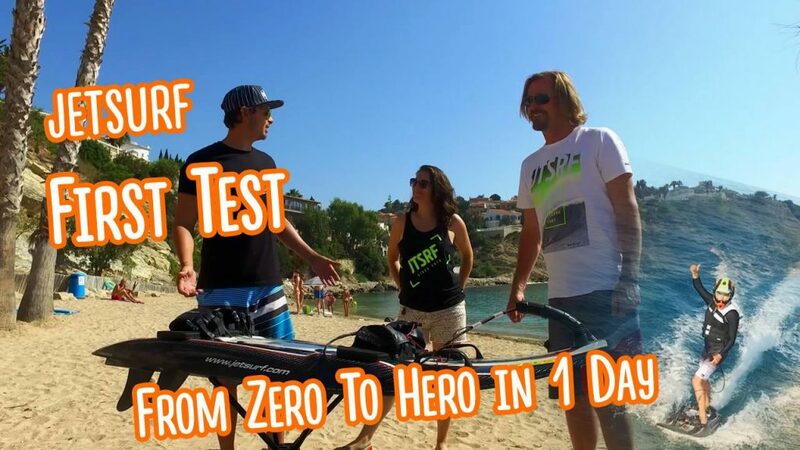 Bonus: at the beginning of the video, Wayne and Tania are going to explain how Jetsurf board works and give you some tips on how to get it ready for the first ride and quick mastery of the board.